What’s more personal than an individual Invitation sent right to your home? 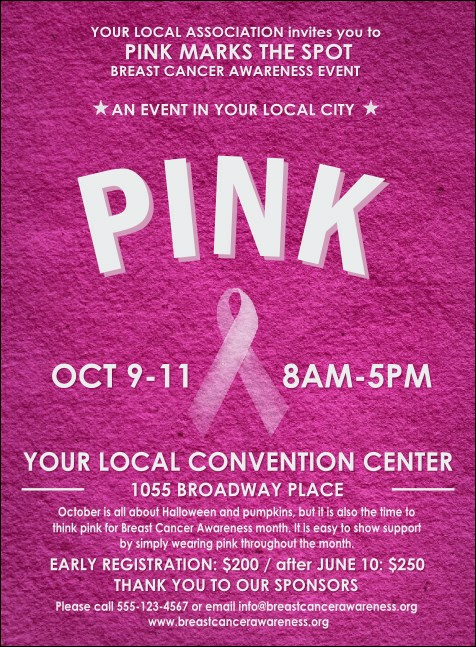 Get your neighborhood on board to raise cancer awareness when you print Breast Cancer Pink Ribbon Invitations and send them out in advance. These bright pink beauties come with sixteen lines of text just waiting to be customized with your local event details. TicketPrinting.com helps you kick cancer to the curb!